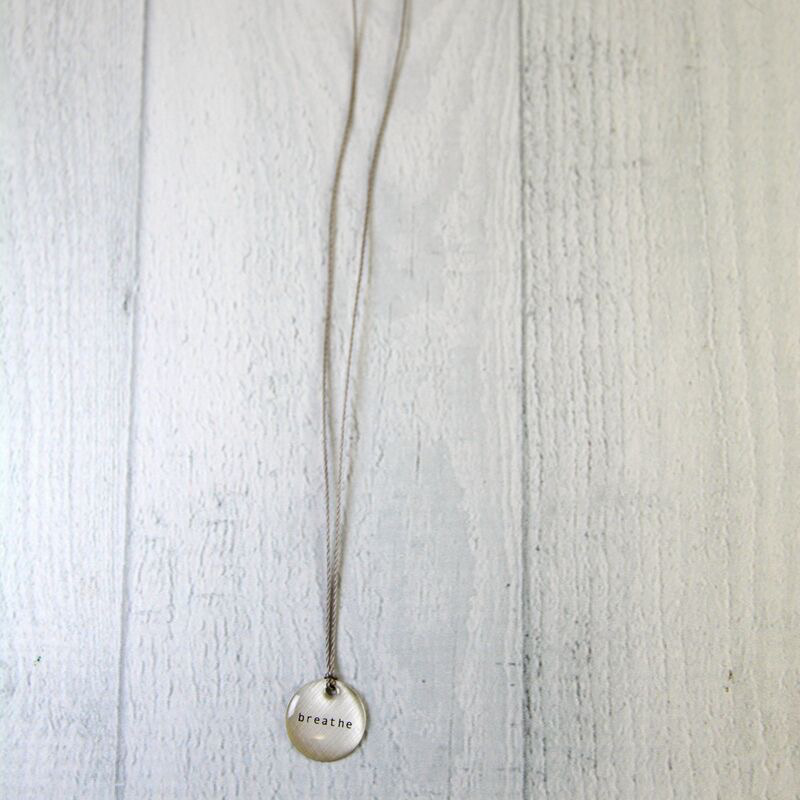 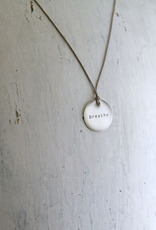 The word "Breathe" is printed onto a 3/4" sterling silver disc then protected with a smooth layer of clear resin and hung from an 18" gray nylon thread cord with sterling silver o-ring clasp. 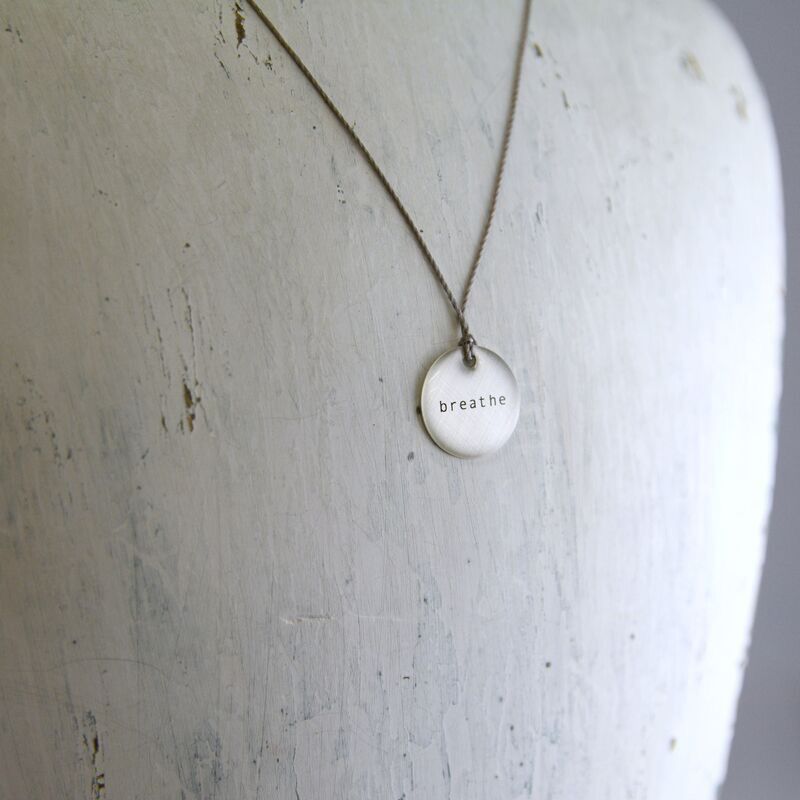 Each piece is handmade by our friends Jeff & Barbara at Everyday Artifacts in Santa Fe, New Mexico. 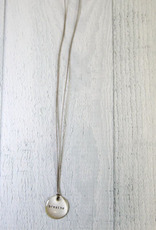 They strive to use methods and materials with a low impact on the environment and a high impact on the human spirit.